With 580,000 inhabitants Dortmund is one of Germany‘s largest cities. The Reinoldinum is a modern conference and educational facility which is located in the city center and is frequented by many visitors. 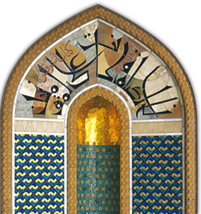 The institution has a close relationship with Islamic organizations in and around Dortmund, which often make use of the facilities for their own events. 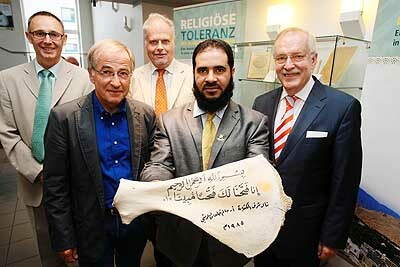 The exhibition "Religious Tolerance: Islam in Oman" was opened in Dortmund in the presence of Mayor Manfred Sauer; Mr. Michael Westerhoff, Director of the Evangelical Education Center; and Mr. Alex Moll, Director for Culture of the German-Omani Association. At the exhibition opening Dr. Mohammed Al-Mamari, who is Advisor to the Minister of Endowments and Religious Affairs, and who serves as the director of the Religious Tolerance project, explained the goals of the Omani government: "Whether Jew, Muslim, Hindu, atheist or other: we strive to maintain an active dialogue with every religious orientation." As a result of this exhibition the Evangelical Adult Education Programm of Dortmund did organize a 12-day study tour to Oman in November 2011, also with the theme of religious tolerance.